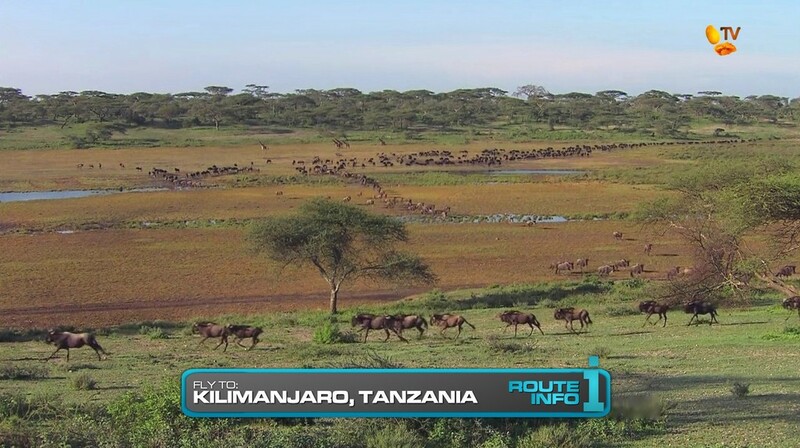 Teams set off on the 6th Leg of the Race with tickets taking them back to Frankfurt, Germany on the way to Kilimanjaro, Tanzania. 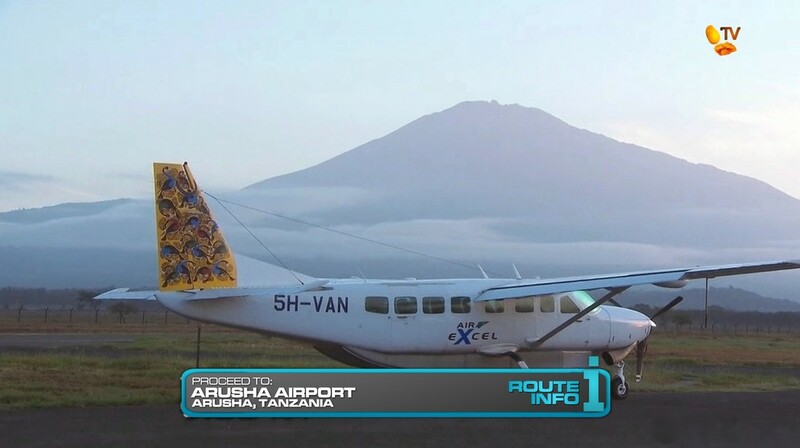 Once in Kilimanjaro, teams must quickly hop into a taxi to take them to Arusha Airport where they will sign-up for one of four charter flights departing immediately to the Lake Manyara Airport. There is room for two teams on each plane with the 4th and last plane carrying only one team. 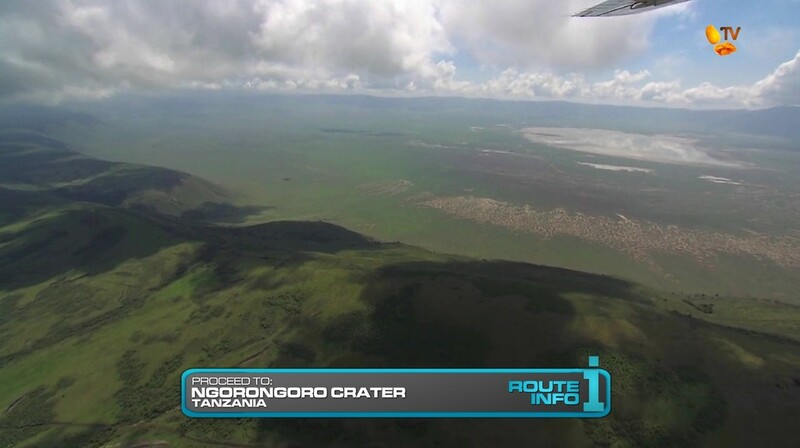 Upon arrival at Lake Manyara Airport, teams must choose a safari vehicle and driver to take them to the western edge of Ngorongroro Crater. 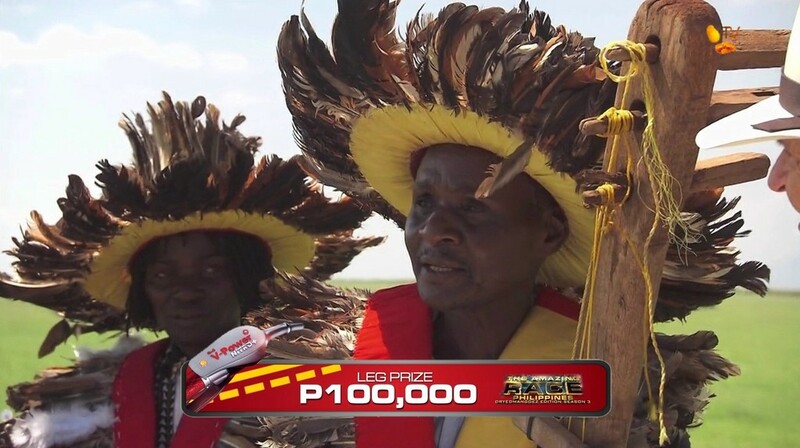 There, teams must find the Masai Warrior who will give them their next clue. That clue reveals the Road Block: Who’s willing to go to high court? 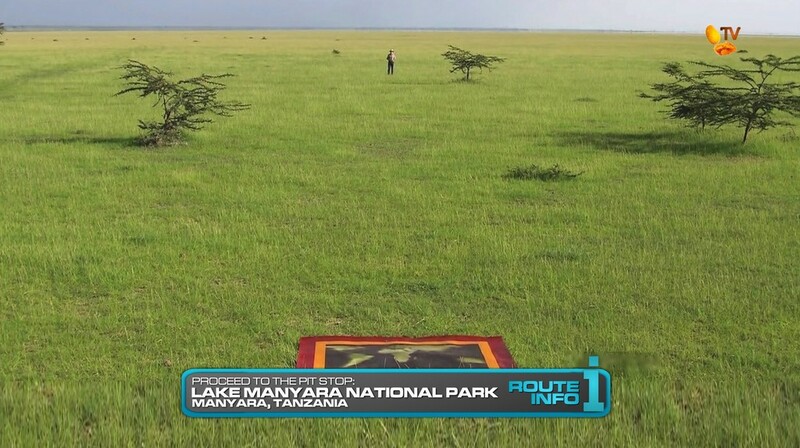 For this Road Block, teams will participate in the traditional Masai courtship dance known as adumu which requires them to jump for one minute despite the high altitude. 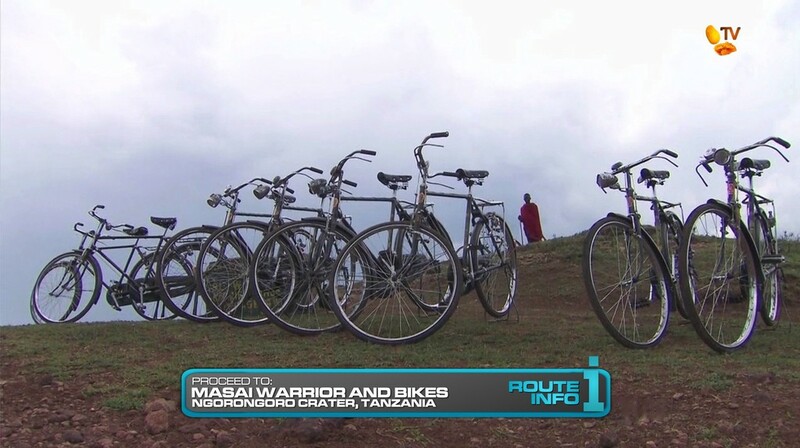 To get to the site of the ritual, teams must ride bikes to Soneto Village. After completing the Road Block, teams will receive the next clue. And it reveals a second! Road Block. 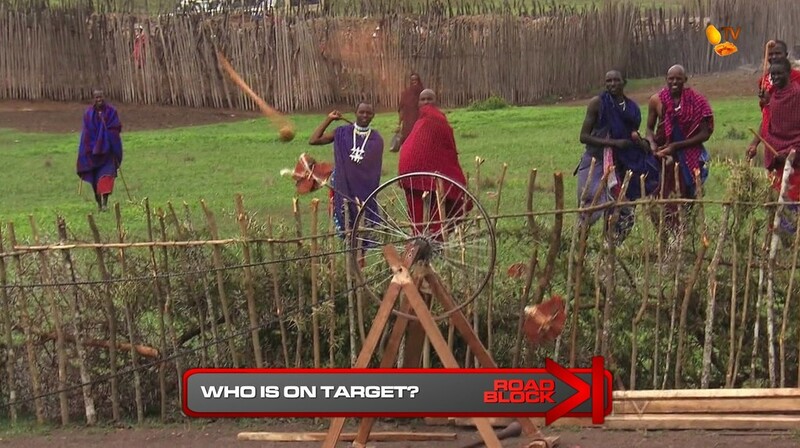 The team member who did not do the first Road Block MUST complete this Road Block: Who’s on target? 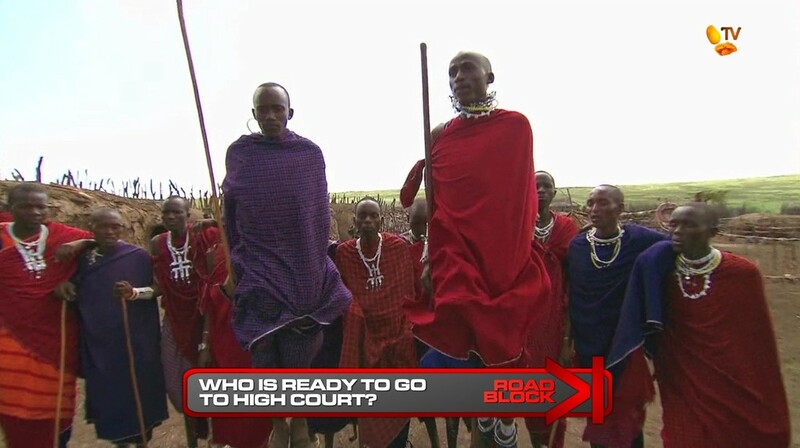 For this Road Block, teams must use a traditional Masai weapon called a rungu to hit a series of 4 clay targets plus one moving target to receive their next clue. 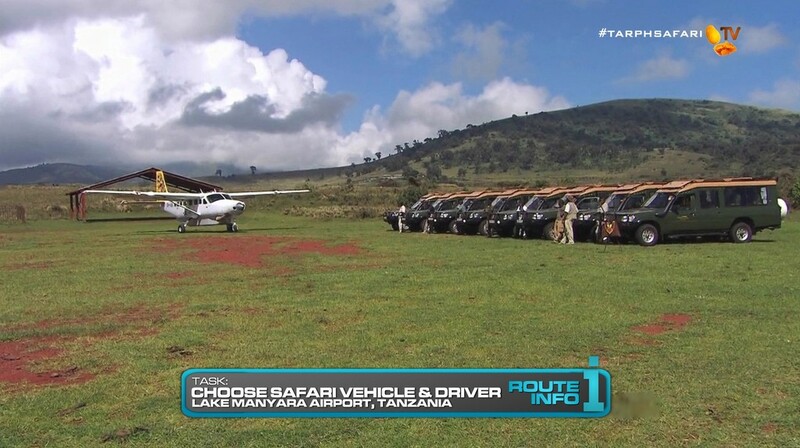 Teams must return to their safari vehicles and have their driver take them to the town of Safari Junction in Karatu distrct where they must find the Jack Stelzer Pub. Here, teams will find a brand new Must Vote Double U-Turn board. Using the Samsung tablets on the U-Turn board, teams MUST vote for their 1st AND 2nd choice teams they want to receive a U-Turn. Once teams vote, they can grab their next clue from the cluebox telling them to find Nono Aquino to get their next clue. 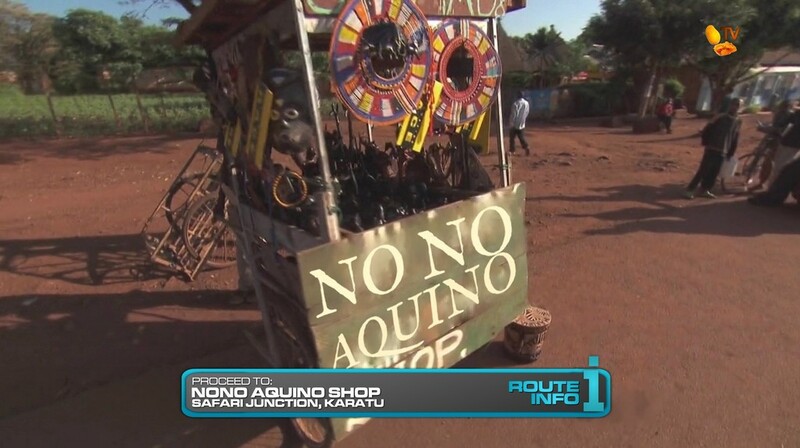 Teams will need to figure out Nono Aquino is the name of a cart selling masks along the side of the road. And that Nono Clue reveals the Detour: Water Supply or Air Supply. 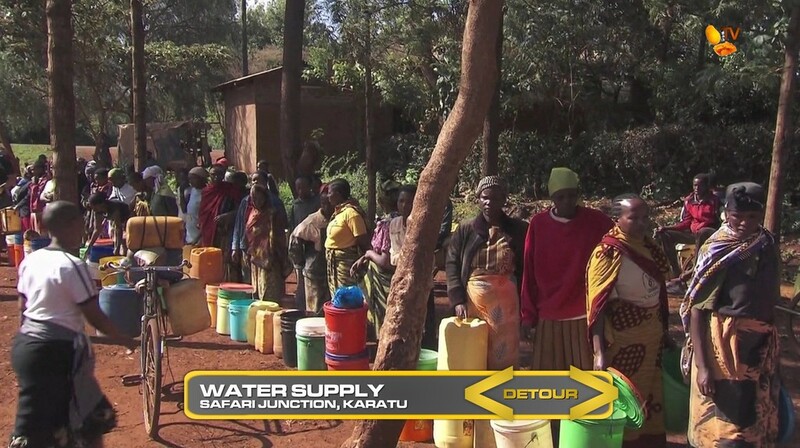 In Water Supply, teams will help a local family get their water for the day. First, teams will pick-up a cart of empty containers from a specific address they will choose. They will then get in line at the local communal well to fill up their containers. Once they deliver the cart of water back to the home, they will receive their next clue. 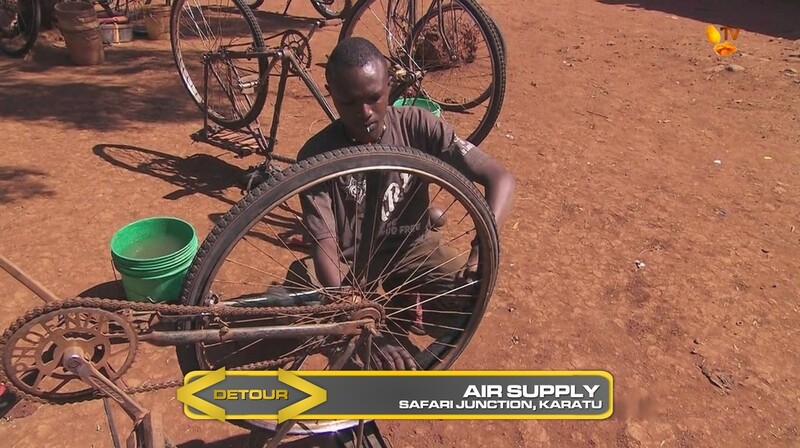 In Air Supply, teams must help local mechanics at a bicycle repair shop. Teams will need to figure out how to fix a tire puncture. When they’re done and the child who owns the bike gives them the thumbs up, they will receive the next clue. 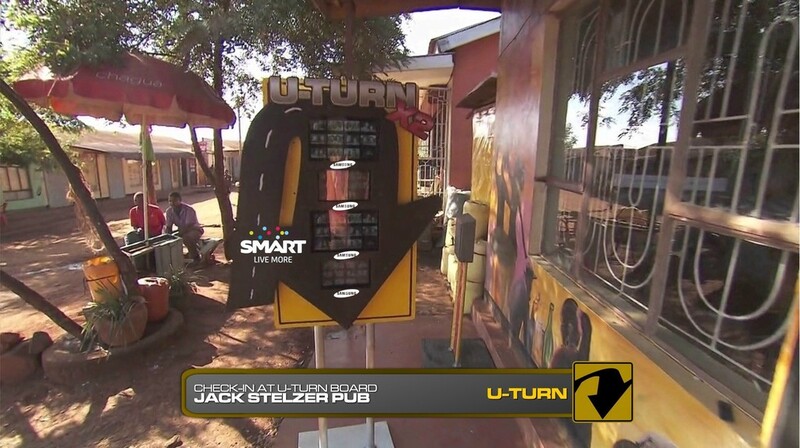 That clue directs teams back to Jack Stelzer Pub where they will check whether or not they have been U-Turned. 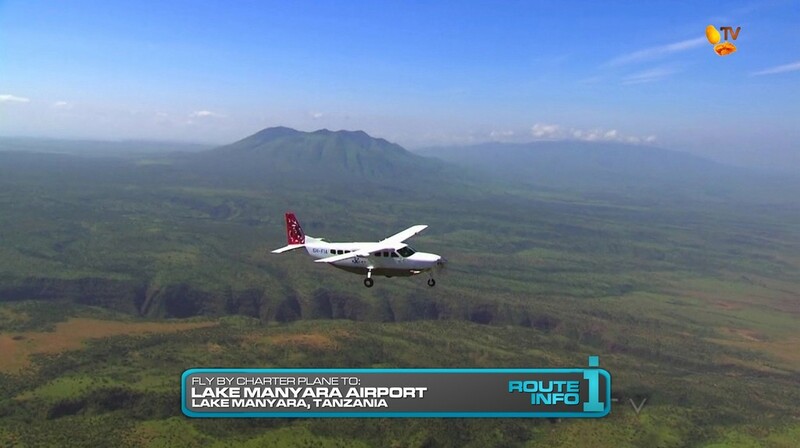 If they are clear, teams can finally make their way by taxi to Lake Manyara, the Pit Stop for this Leg of the Race. The first team to check-in here will win P100,000 courtesy of Shell V-Power Nitro+. The last team to check-in here WILL NOT be eliminated as this is a Non-Elimination Leg. That team will then choose a Non-Elimination envelope to reveal their penalty for the next Leg of the Race. I smashed together TAR20’s two Tanzania Legs and I think it should provide for a very full and exciting Leg here on TARPH. 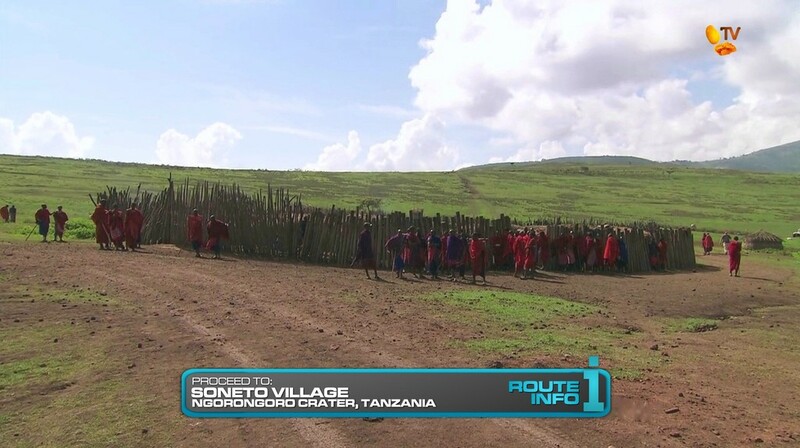 First, I made the Tanzania 1 Detour into two Road Blocks since they’re both simple enough and both fun to have teams do both and not use up too much time. Also must make sure the first Road Block decision point is before they hop on the bikes so teams won’t get the opportunity to realize there are two Road Blocks, allowing them to choose who will do which task. The Must Vote Ranked Voting U-Turn is my Sentai-to-Power Rangers adapting of the TAR20 footage of the now-old tabletized U-Turn board. And I think it should be an interesting twist on the Must Vote U-Turns of TARPH. It will also hopefully cause lots of drama since teams MUST vote for TWO other teams to be U-Turned. The TAR20 Detour was fine and gets teams interacting with locals, which is always a great thing. And of course, with such production manipulation and a cruel forced Double U-Turn, this is a perfect spot for a Non-Elimination Leg. I like this Leg. It should provide lots of good material.